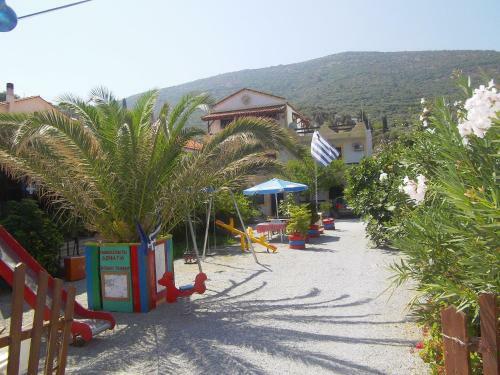 Offering a children's playground and sun terrace, Aquarius Rooms is located in Samos, 2.8 km from Ethniko Samou. Free WiFi is available and free private parking is available on site. Port of Samos is 3. 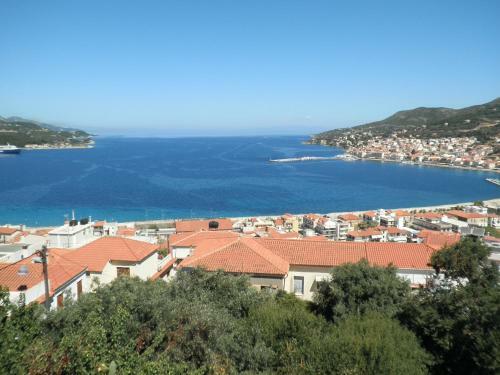 Just 50 metres from the beach, Elisabeth Villas is located in Samos Island, 10 km from Vathy Village. It offers self-catering, air-conditioned units and free WiFi throughout. It also features a garden and a sun terrace. Set in the area of Nopigia, in Kissamos, Anemon offers modernly decorated villas with private swimming pools and large furnished terraces overlooking the Cretan countryside. Nopigia Beach is 300 metres away. 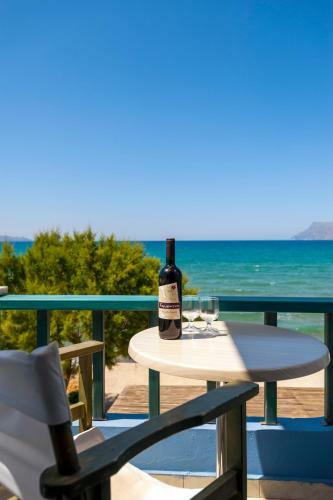 Located right on Korfalonas Beach, Tripodis Apartments offers self-catering accommodation with free Wi-Fi and furnished balcony overlooking the Cretan Sea and the mountains. Taverns are within a 10-minute walk. Surrounded by lush greenery 200 metres from Agia Paraskevi Beach, Mouzakis offers well-equipped villas with private swimming pool and balcony overlooking the Aegean Sea. Restaurants are 200 metres away. The family-run Pension Neapolis is located in Neapolis area of Vathy, within 1 km from restaurants and bars and 3 km from Gaggou Beach. It has a furnished, blossomed terrace and offers units with free Wi-Fi access. Located right next to Drapanias Beach, Zefyros Apartments features self-catering accommodation with free Wi-Fi and views of the Cretan Sea. Guests will find a restaurant next to the property. Located in lush surroundings right on the pebbly beach of Ravdoucha, this family-run property offers air-conditioned studios with balcony overlooking the Cretan Sea. Cretan dishes and fresh fish are served at a tavern 30 metres away. Just 20 metres from the beach of Drapania, on the gulf of Kissamos, this guesthouse features a swimming pool and hot tub. 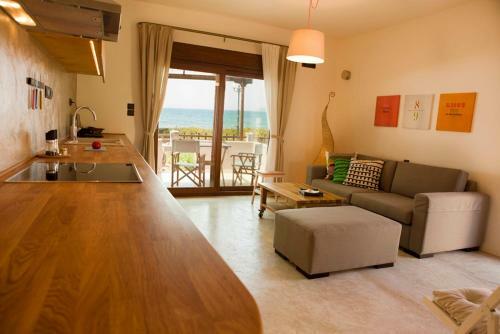 It offers self-catered accommodation with free Wi-Fi and a furnished balcony overlooking the Cretan Sea. Only 150 metres from Kissamos Beach, Eleni offers self-catered accommodation with Cretan Sea or mountain views. It features a sun terrace, surrounded by trees and flowers. Free WiFi is available throughout. Located in Viglia, 5 km from Kissamos, Anavaloussa Apartments features an outdoor pool surrounded by Mediterranean gardens. Overlooking Kissamos bay, accommodation comes with self-catering facilities. Revekka Bed & Breakfast is just 20 metres from the cosmopolitan Telonio Beach and 100 metres from the centre of Kissamos Town. It offers air-conditioned accommodation with balconies and city views. Free WiFi internet access is available. 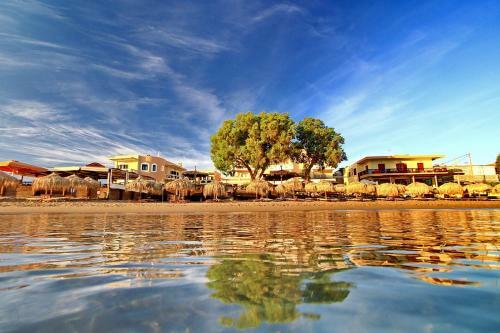 Featuring a beachfront restaurant with traditional Cretan cuisine, the family-run Akrogiali is located right on the sandy Korfalonas Beach of Kissamos. Just 30 metres from the sandy beach of Mavros Molos in Kissamos, Maria Beach Rooms features a bar and a restaurant with an outdoor eating area. It offers air-conditioned accommodation with free WiFi and a private balcony. Maria�s Villas features an outdoor pool surrounded by a furnished sun terrace. Its self-catered accommodation has a terrace or balcony overlooking the garden, mountain or olive groves. 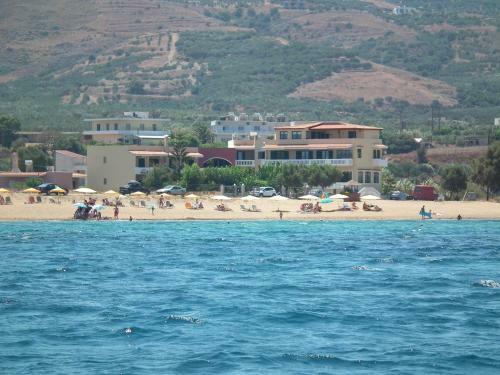 Kastelli Beach is 4 km away. Featuring a pool, the family-run Vista Del Mar is just 50 metres from Kissamos Beach. 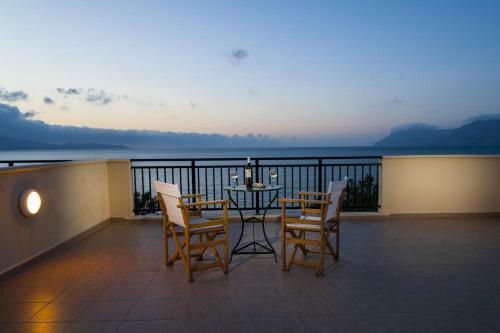 It offers accommodation with a furnished balcony overlooking the Cretan Sea. Facilities include a garden and a BBQ. Beautifully situated in Kissamos, west of the city of Chania, Bikakis Family Apartments are just 250 metres from the beautiful beach of Telonio. Free WiFi is available in all areas. Kissamos Archaeological Museum is 300 metres away. 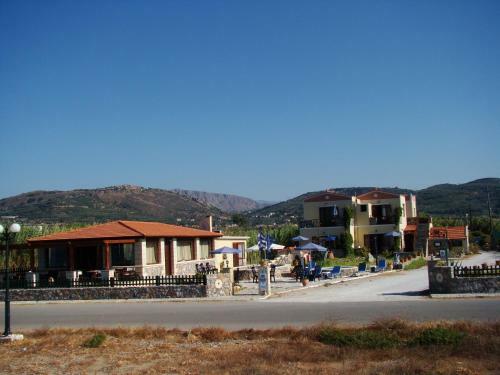 Offering a small garden with seating area, Katerina Apartments in Kokkari village is located 50 metres from the beach. It offers self-catering studios with balcony, terrace or patio. Free public parking is available. 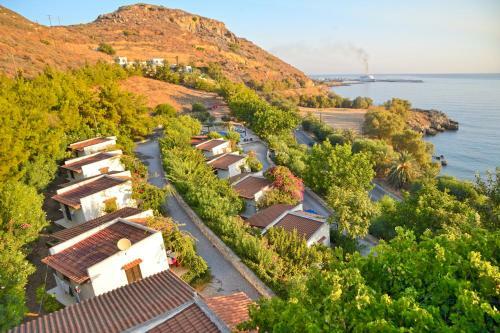 Set amongst olive groves, just a 150 metres from Kaliviani Village, traditional Olive Tree Apartments offers units with balcony or terrace overlooking the mountain or the sea. It features a swimming pool with sun terrace and a snack bar. Located on a lush hill of Platanos in Kissamos area, Falasarna Villas offer panoramic Cretan Sea views, 4 km from the sandy Falasarna Beach. Each 150 m2, self-catered villa features a private pool, fireplace and free WiFi. Set amidst a lush 4,000-m� area, beachfront Galini Beach is a family-run hotel on the Kissamos Gulf with free sun loungers and umbrellas. 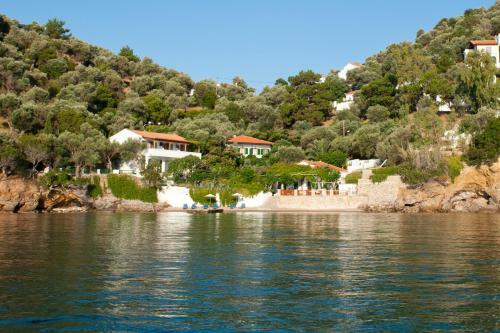 It offers beautiful sea views, traditional Greek hospitality and modern conveniences. 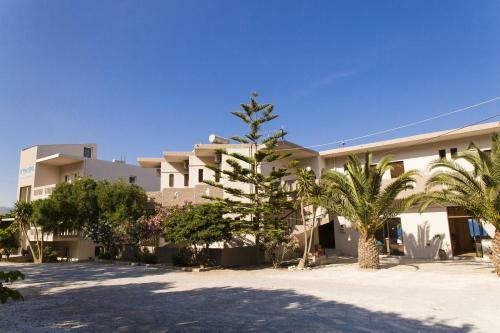 Located within 300 metres from the sandy beach of Falassarna, Apartments Nikos offers spacious, self-catering accommodation with large sea-view balconies. Free Wi-Fi and free private parking are offered. Located just 200 metres from sandy Mediterranean beaches on Crete�s west-end, Doma offers apartments featuring balconies or terraces overlooking the surrounding gardens and the sea. All units have free WiFi. 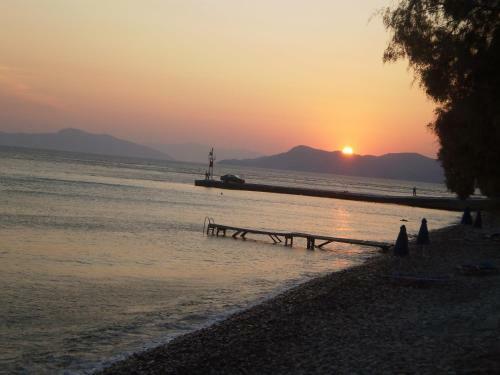 Located right on Korfalonas beach, Mesogios Beach overlooks Kissamos Bay and offers a swimming pool, restaurant and bar. 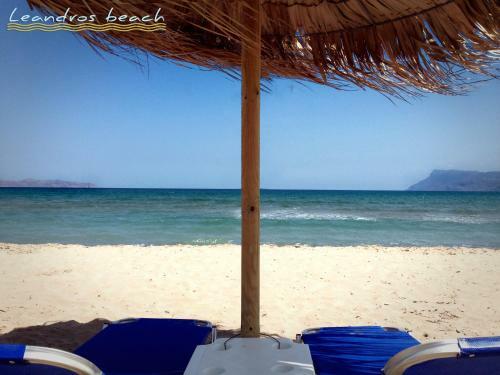 A TV, fridge and hairdryer are included in all units at the Mesogios Beach. Viglia Beach Apartments offers spacious guestrooms with balconies, set in an extensive garden and quietly located in Gramvoussa, 50 metres from the beach. The famous Balos Beach is at 13 km. Located on the slopes of hills, the stone-built Blue Pearl Villa features a garden, terrace and free WiFi. 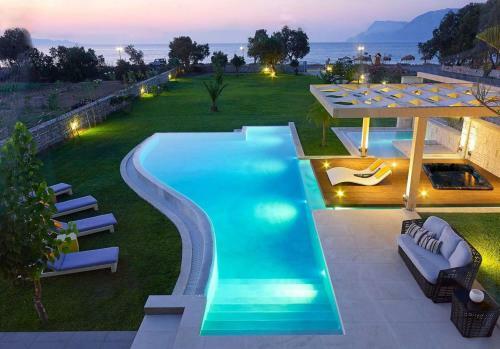 The villa is located in Amigdokefali in Crete and overlooks the Mediterranean Sea and the mountains. 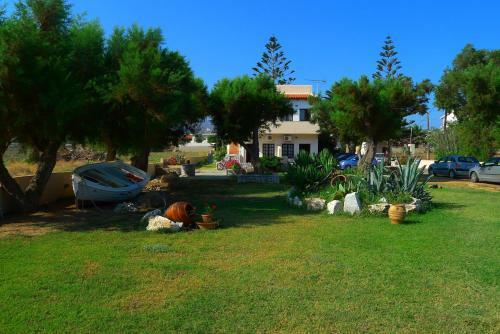 Studios Limnionas is a self-catering accommodation located in Limnionas Village. 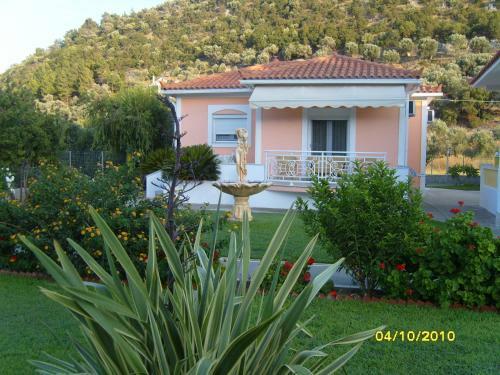 It features a garden and sun terrace, while free WiFi access is available in all areas. 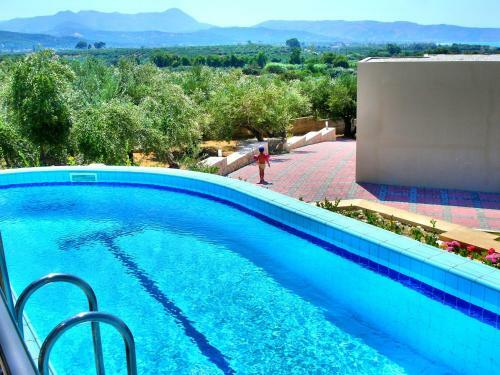 Featuring free bikes, WiFi, a garden and terrace, Dermitzogianni Villa is located in Kissamos. The stylish villa boasts contemporary architecture with views over the Gramvousa Penisula and Kissamos Bay. Just 10 metres from the beach, Horizonte Seafront Suites is a self-catering accommodation located in K�ssamos. Free WiFi access is available. 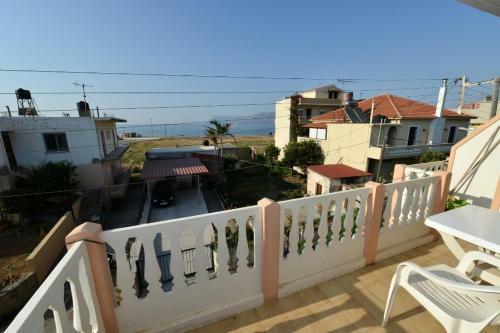 The property is 6 km from Kissamos Port. Just 10 metres from Pachia Ammos Beach, Gramvousa Bay Villa offers spacious accommodation with a fully equipped kitchen and unlimited views over the sea. It has a restaurant and it is 3 km from Kissamos Town. Petrino Mpalos is located in Koumeika. Free WiFi access is available in this homestay. The accommodation will provide you with a TV and air conditioning. Featuring a shower, private bathroom also comes with a bath. Extras include a minibar. 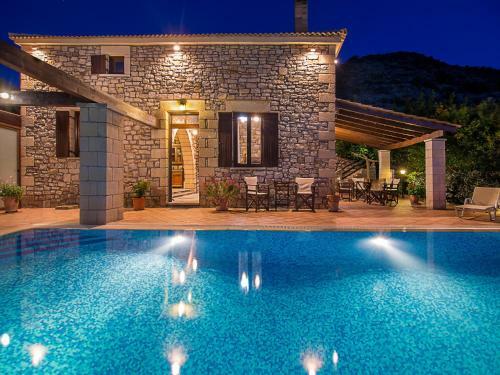 Just 70 metres from Drapanias Beach in Kissamos, Villa Elvina offers an outdoor pool, a kids� pool and a hot tub. This self-catering accommodation opens out to a balcony and terrace with Cretan Sea, garden and pool views. Free WiFi is provided. Surrounded by a Mediterranean garden in Kaliviani village, the traditionally built Patriko Villa features country-style accommodation overlooking the Cretan Sea and the mountains of Crete. Restaurants are 20 metres away. Located in Neo Chorio, the elegantly decorated Kissamos Villa comes with free WiFi access and unobstructed views over the Cretan Sea, the mountain and the village. It features a blossomed garden and a spacious, furnished terrace with BBQ facilities. 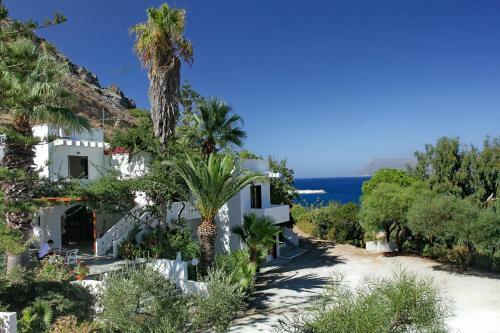 Featuring free WiFi, a garden and terrace, Villa Agonari is located in Kissamos in Crete. The stone-built villa includes a seating area with fireplace and balcony with views over the mountains. Located in Drapanias Village of Kissamos, the family-run Leonidas is set amidst lush gardens, just 4 metres away from the beach. 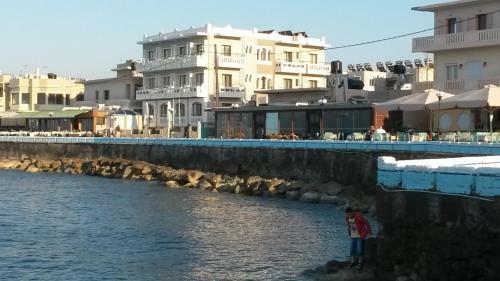 Its public areas feature a restaurant and a snack bar and offer free WiFI and free sun loungers. Christina Beach Hotel features spacious accommodation with sea views, hence located at the seafront of Kissamos Town. 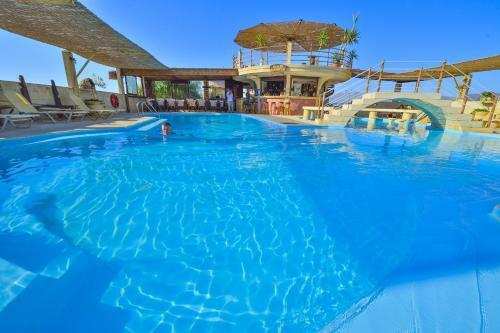 The hotel�s public areas offer free Wi-Fi and include a swimming pool and a pool bar. Mandy Suites lies in the centre of Kissamos, 5 metres from the sea. It offers a bar, swimming pool and modern accommodation with garden, pool or sea views. Offering sun beds and umbrellas on the beach, Aphrodite Beach Hotel is located on the beautiful sandy beach of Mavros Molos in Kissamos of Chania. The hotel features a swimming pool and offers free Wi-Fi throughout. Located in scenic Kalyviani Village, 800 metres from the beach, Archontariki is a traditional, self-catered villa with a private swimming pool and free Wi-Fi. It features furnished verandas overlooking Kissamos Bay. 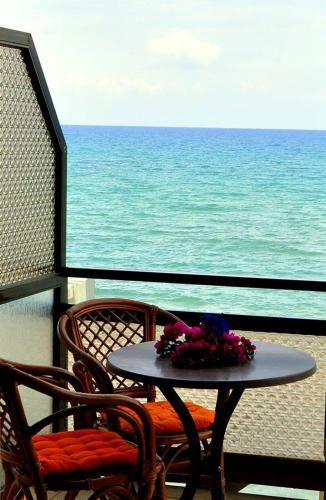 300 metres away from Falasarna Beach, Kalami Rooms & Apartments features a traditional restaurant and rooms with a private balcony, some with sea views. Free on-site parking is available. 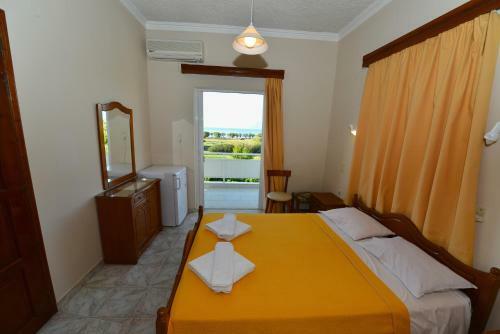 Scorpios Hotel & Suites is located in the popular Kalami area, right in front of Beis Beach. It features a large seafront pool with free sun beds and a snack bar. 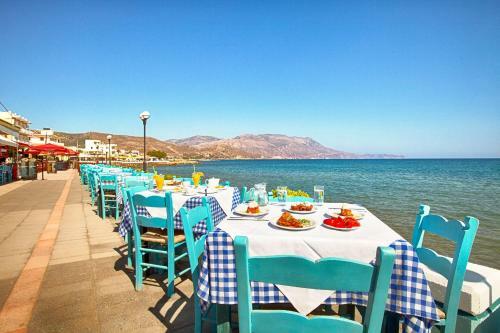 Breakfast with traditional Greek products and local delicacies is served daily. Kissamos Windmills are situated in Drapanias village, 35 km from Chania. They consist of windmill-like studios and apartments built around a large outdoor swimming pool with eco-cleaning system and a sun terrace. WiFi is offered throughout. In the centre of Kastelli and 150 metres from the beach of Telonio, Mirtilos offers studios and apartments with kitchenette facilities and free WiFi access. There are free sun beds and umbrellas by the pool. Just a few steps from the beach and 2.5 km from Kissamos, the Mediterranean Studios Apartments offers self-catering accommodation with free Wi-Fi. Breakfast is served daily by the large swimming pool. 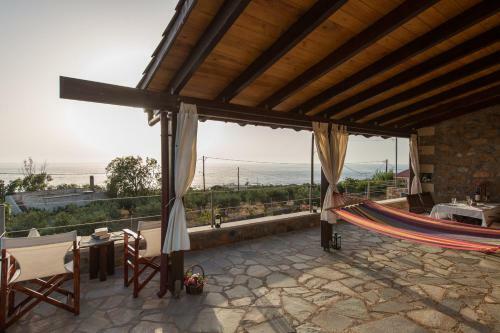 This traditional guest house, located at the tip of cape Gramvoussa, in the traditional village Kaliviani, offers accommodation with a satellite TV and unobstructed views of Kissamos Gulf. Free Wi-Fi is available throughout. 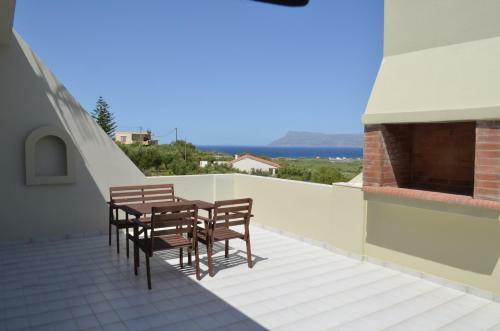 Apartments ""Delfini"" are located at Kissamos, one of the most beautiful parts of West Crete, with a panoramic view to the Golf of Kissamos.